Front of the baby booties is PINE GREEN, back is LIGHT GRAY. Laces are light gray. Note: Because every screen is different the colours of felt and laces you see on the photos could be slightly different in person. Measure the length of the foot in inches or centimetres then add .25" or 0.6 cm. Use the chart below to choose the closest size to the final number. 4) Size to purchase is Size US 4 - EU 19 - UK 3. Note: Baby booties are cut by hand and may vary slightly in size. 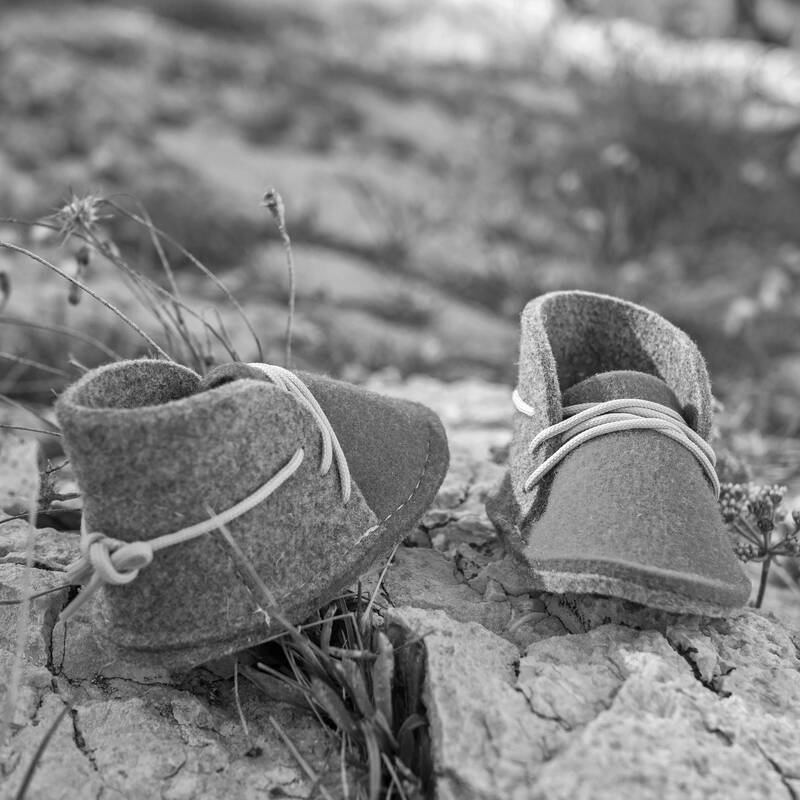 WHAT MAKES OUR BABY BOOTIES UNIQUE? 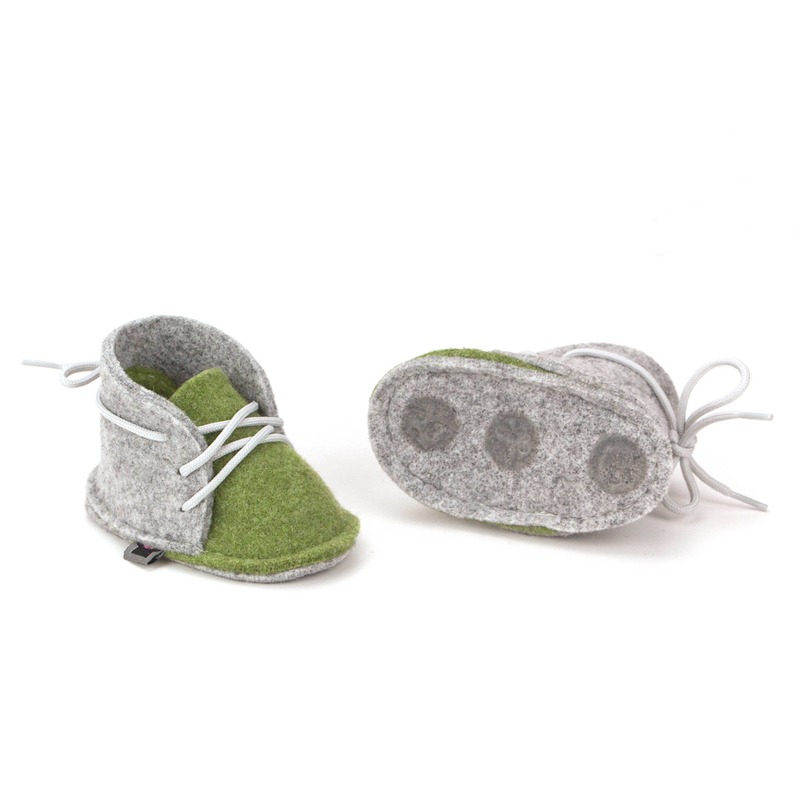 Our fuzzy baby booties are handmade of wool felt which provides natural insulation. 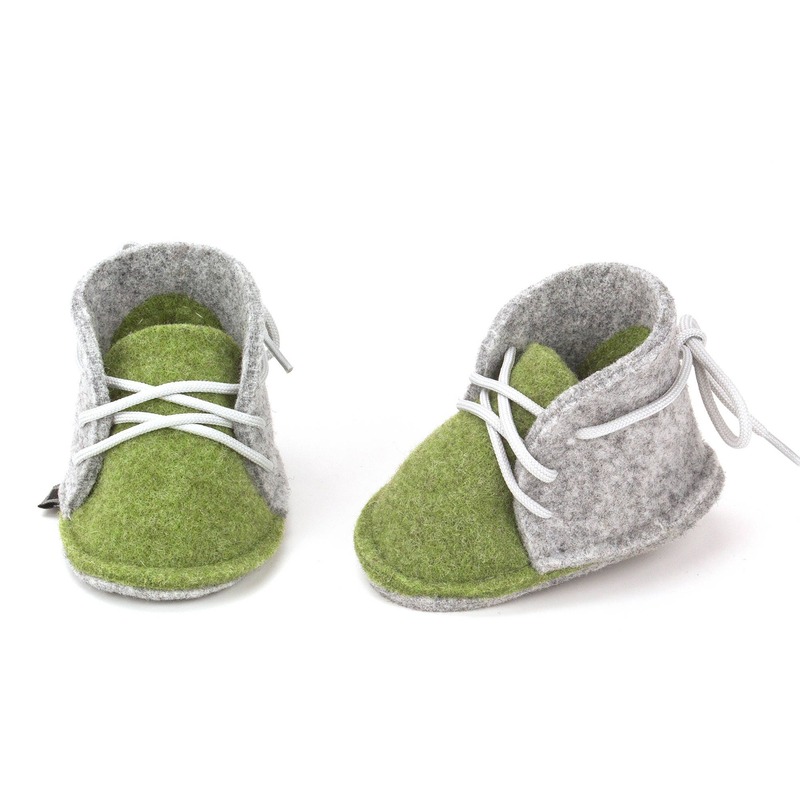 Your baby’s feet will always stay warm and never sweat because wool felt is soft and breathable material. No glue is used in the production of our handmade booties. They are made without hazardous decorations such as buttons, sequins or beads. The heal part has two layers of wool felt for a total of 10 mm of thickness, providing great feet support. • designed and handmade in Europe, Slovenia. 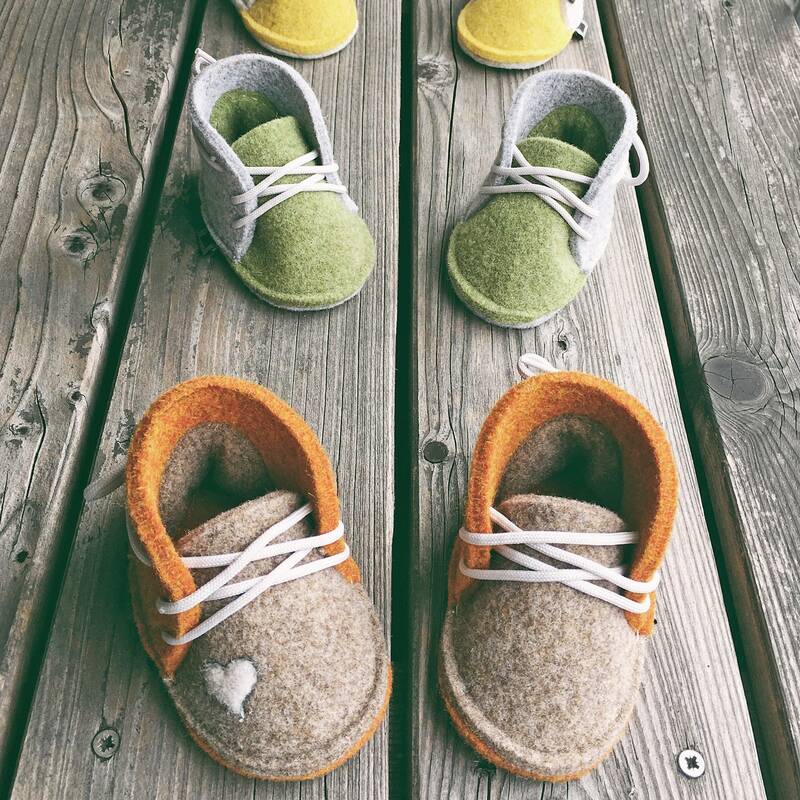 HOW TO TAKE CARE OF THE BABY BOOTIES? Any beautiful product - especially if it is entirely handmade - deserves to be taken care of. Brushing the baby booties with nicely warm water from time to time will keep them smiling for a long time. Try not to use harsh cleaning shampoos. After that just let them breathe for some time so they completely dry out.